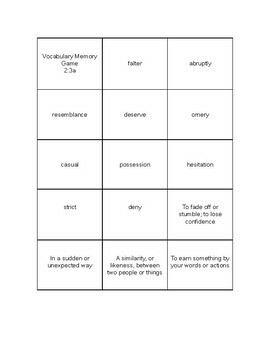 Memory game for partners to practice vocab. Just print on cardstock and cut apart. Fully editable. 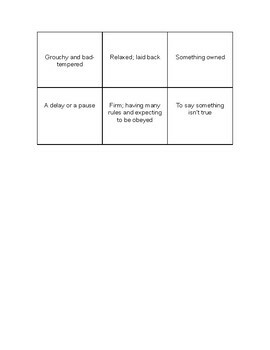 Contains first 10 vocab words from this unit of Language Live.